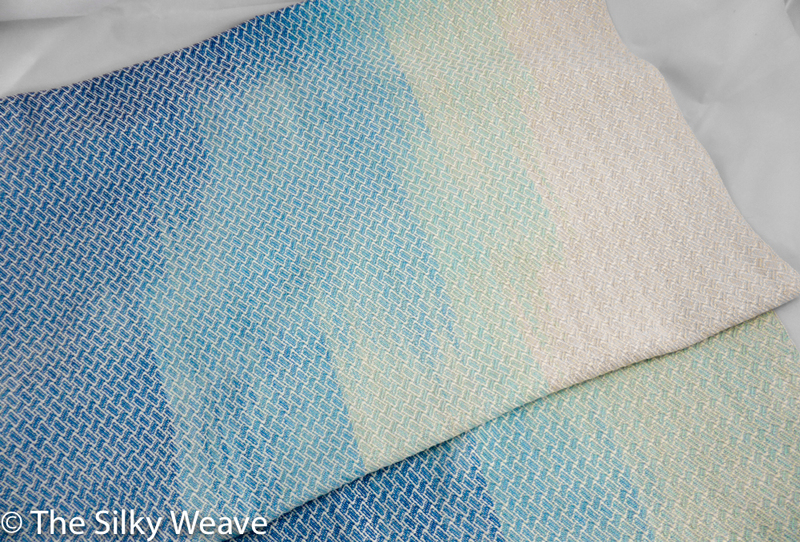 The “Into the sunset” collection is woven on mercerized cotton warp. 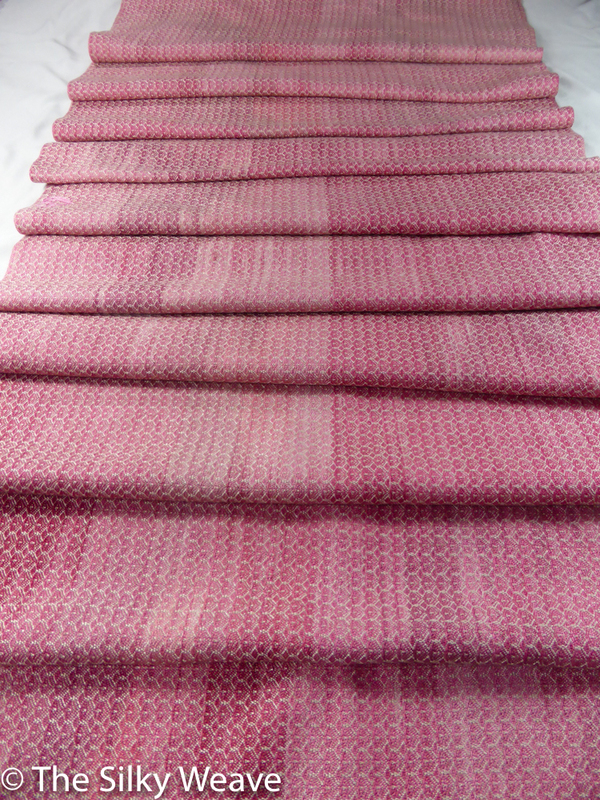 Hand-pained warp and natural silk / baby camel weft, with 300 GSM. More pictures here. Wrap #2, currently work in progress. A beautiful shawl woven on second part of the hand-painted warp. Refer here for more pictures.